Folding doors run on rollers and are suspended from an overhead track at the head of the door. A guide channel at the foot allows for smooth operation. Ideal for both large or small openings and can be manually or electrically operated. These are available with various locking options and fixing arrangements. 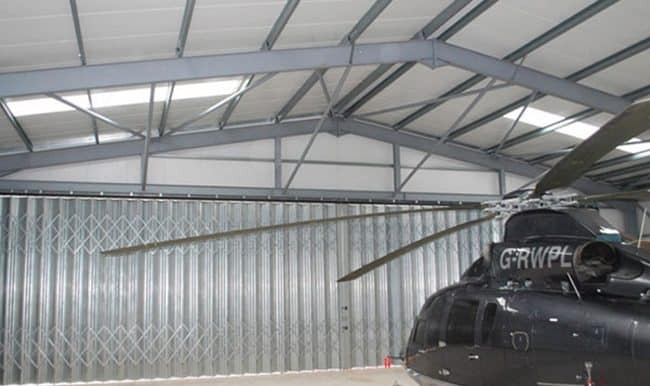 Folding doors can also be fitted with vision panels for increased safety. With a choice of galvanized or powder coat finish.